Leaving your home country, leaving family, leaving culture, and leaving convenience, the life in the mission field can’t always be described as very dramatic and impressive. Everyplace, there are troubles and difficulties. But we can thank God for the gift of life and the privilege of serving Him because He is the One who always gives strength in our lives. As we close the first term and as we look over all these years, God has enabled us to come this far. We also want to thank you for your support spiritually and financially. Sometimes, it is very difficult to be peaceful when we are going through emotional difficulties, financial shortages, and physical tiredness. But God has encouraged us through your support. On this earth, we may not remember all those names who have given for the mission work; however, our God will remember your commitment for the extension of His kingdom. May the Lord bless the ministry in Africa and your lives in various parts of the earth. This year, the Lord has given us a good heart for fellowship with the church members. Eben has been involved with Youth Fellowship in which he did not serve for last two years. The Lord enabld us to have various activities such as a youth outing (pictured above) at the Ol Deonyo Sabuk mountain where 28 people climbed 20km (12.5 miles) over rough road from 1,300 m (4,265 ft) to 2,145m (7,037 ft). It was tough; it was not like home which provides a nice mountain path. The meditation after the climb really helped young people reflect on their lives as a spiritual journey on this earth. We also had Bible trivia from the book of Genesis; many read the book more than three times. In addition, the youth has had various songs and skit presentations in the church in the last couple months. Using meditations from Hebrews 11 and studying the Westminster Confession of Faith with Fundamentals of the Christian Faith wrtten by Dr. Jeffery Khoo, young men and women have been learning many practical lessons and fundamental doctrines. Just like young people at our home, these young men and women are struggling in this world against Satan’s temptations. They have more challenges because of financial and cultural difficulties in Africa. However, many of them have maintained good testimonies in their college, work places, and home. Pray for them since they are the future of this land. As many of the African countries are facing, they are the ones who will fight against the trials from Satan and influences from Islamism, atheism, and traditional religion. Saturday fellowship at the church members’ homes has been greatly blessed. It was not the first time Eben had been invited to church members’ houses. However, this time, there was more effort and interpersonal relationship. On the busy Saturday, many of them make a real effort to join the fellowship for praise, prayers and meditation from the book of James. There is no air conditioner in the houses and no comfortable chairs with soft carpet; rather, there are muddy floors and shaky chairs. Sometimes, Eben has to preach under the hot sun. The refreshment or meals are not fancy like home. But when you see how they are sweaty from long walks and how they share from their insufficient life, you would experience what it means by Matthew 18:20 which says, “For where two or three are gathered together in my name, there am I in the midst of them.” Pray for the Saturday fellowship so that the edification and spiritual growth may be exercised through meetings. Pray also for the four pastors currently involved in this ministry. Visiting the graduates is always a blessing and challenge. Some of them are living under difficult situations because of lack of financial provisions and doctrinal differences. But they are serving the Lord because the Lord has called them to be in the ministry. As we visit more and more, we are encouraged to continue our missions work of teaching and training; we are challenged to examine our lives, and we are blessed through the fruits they are bearing. Already, there are hundreds who have graduated from this college; we cannot name them all. But do pray for them so the gospel and truth may be proclaimed in various parts of Africa. 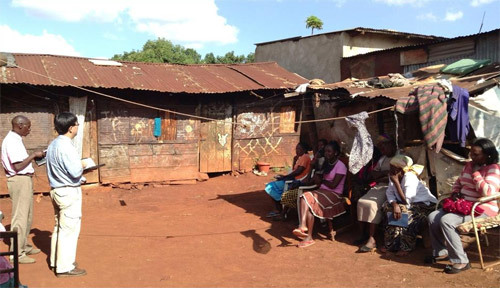 Kenya – Many of you may have heard about the tensions and terrorism in Kenya, especially against the church; some places in Kenya are not very safe. Pray for the peace and reconciliation between people. Bible College of East Africa – Pray for this term vacation in which students may practice their knowledge and teachers may be refreshed and be ready for the coming term. Pray for the second term; specifically for new students. Pray for Bachelor of Ministry courses. 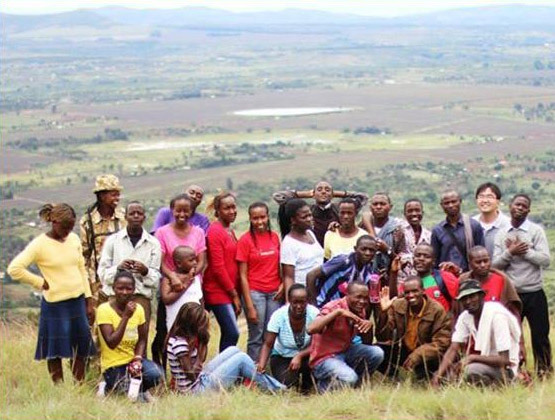 This time, brother Clement Chew from Far Eastern Bible College will fly to Kenya to teach some practical subjects. Campus Church – Pray for Eben as he is responsible for the choir and music department. Pray for Rev. Kim and other pastors. Kindergarten – Pray for the activities and education for the kindergarteners, and the teachers. Family – Pray for Eben as he is going to teach Calvinism, music, and Roman Catholicism next term. Pray for Mijung as she will continue her work in kindergarten and home as mother. 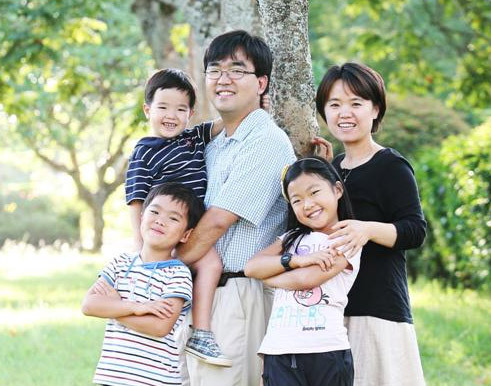 Pray for MKs: Haeun, Hajin, and Hayun for their studies, attitudes, and personalities. Other matters – Pray for the East Africa Christian Alliance (EACA) meeting at the end of April. Pray for ongoing Rwanda projects and Bible College of East Africa -Tanzania. Pray for journeys’ mercies for various visitations. In two months, we are celebrating the completion of our 9th year in Kenya. We once again want to thank those who have been with us spiritually through prayer and support. We don’t know how long God will use us as His instruments, but we want to be faithful to His calling. Pray for our health so that we may not get tired and pray for our mission work in general. Also, continually be with us and labor with us since we know Jesus is coming soon and we have many tasks to carry on. May the Lord bless you and keep you as you love His kingdom and missions. Just a note to let you know you are remembered in prayer quite regularly. I thank God for your willingness to come to Africa from the east (Singapore?). I am Nancy Anderson’s sister (she wrote biography of Dr. McIntire) and I was raised in his church. Although I have known of your ministry for a long time, I thought to let you know that you have a “prayer warrior” in California, too.